1. AMC attended a Mainly Mozart Spotlight Chamber Concert on Sunday May 30. The mainly Mozart series is an ambitious undertaking in a city that has a spotty record of supporting classical music. This concert was held in the very nice Fairbanks Ranch Country Club, which is in bankruptcy- in part because of the California drought. The concert was preceded by a very nice cocktail hour and was followed by an even nicer buffest grazing opportunity. The program included Mozart's Adagio and Fugue in C minor; the Beethoven String Quartet No.4 and the Schumann Piano Quintet. The performers were Steven Copes (violin), Alexander Kerr (violin), Hsin-Yun Huang (viola), Efe Battacigil (cello); and Jon Kimura Parker Piano). The performance were all quite good and Mssrs Copes and Kerr swapped first chair. But they group played under a soffit that did a grand job of sucking up all of the sound so that the acoustic was very dry. further, the air handling equipment was so loud that it drowned out many of the subtle overtones of the music, making it sound even more lifeless. Its just not a good placement and or environment for chamber music, but the people who attended were friendly and warm. AMC had a grand time. 2. On June 7, AMC attended a concert in the Madison-Morgan Chamber Music Series. The Amernet String Quartet were the artists. The first work was the Italian Serenade by Hugo Wolf, a composer who music has nearly disappeared in the US. This is a bright cheerful piece, Italy spawned many of these bright homages. It must be the wine. The second piece was Goldmark's String Quartet in A Minor. Goldmark has also nearly disappeared. This quartet is full of romantic excess and is hyper-emotional. It was played well but there were some major intonation issues. 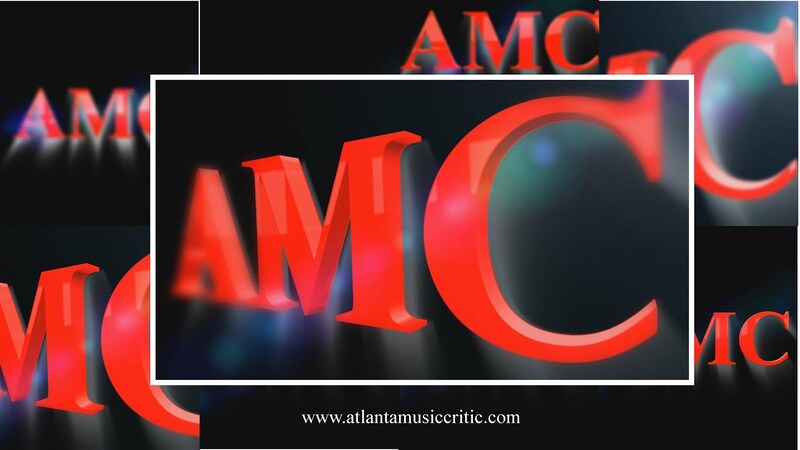 AMC cringed. Christopher Rex joined the Amernet for this performance. the final work was Chausson's Concerto for piano, Violin, and String Quartet. This is an interesting piece if for no other reason than the instrumentation. David Coucheron, violin, and Liza Stepanova, piano joined the quartet. It was a tight, well-played performance with Coucheron adding his usual bravado. Michael Klotz, the viola, in the Amernet was also quite powerful and took the viola parts outside of the shadow of the violins. 3. On June 13, AMC attended Chamber Cartel's performance of The Stone Tapestry by Jeff Herriott. The music is languorous and makes use of tuned goblets, temple gongs, bowed metal bars, a modified bassoon that sounded a bit like a didgeridoo, stones rubbed on 2" X 4" wood pieces, and a bass flute. The performance was held at Atlanta's Goat farm, which is a center or bringing together the arts and technology. Its looks like an abandoned factory because it is an abandoned factory. It lack air conditioning, which on a hot steamy Atlanta night, is a bit of a punishment. Trains role by the performing space about once every half hour. Sometimes their loud sounds work well with the music and sometimes not. There were also lighting effects tastefully added, as well as a large projection of slides that morphed ever so slightly as the music played. Herriott's composition is described as "...a collection of interwoven myths, about origins, lifecycles, and the pace and significance of change." AMC takes their word for it, but it is nice space music. That is in no way meant to be pejorative, but it does sound a bit like what you might hear from time-to-time on Music from the Hearts of Space, The performers were wonderful and, had it been cooler, it would have been a perfect way to spend a summer evening. But Chamber Cartel nevers disappoints.